We're a little behind, but we finally got started on the first art projects for the Dani's Online Art Class over at Pineapple Paintbrush. 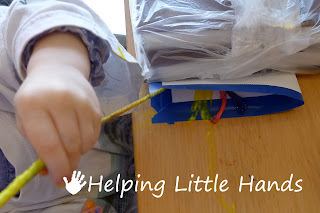 I especially had fun with the string painting because it was new to me. It uses paint saturated string sandwished between two layers and pulled out. 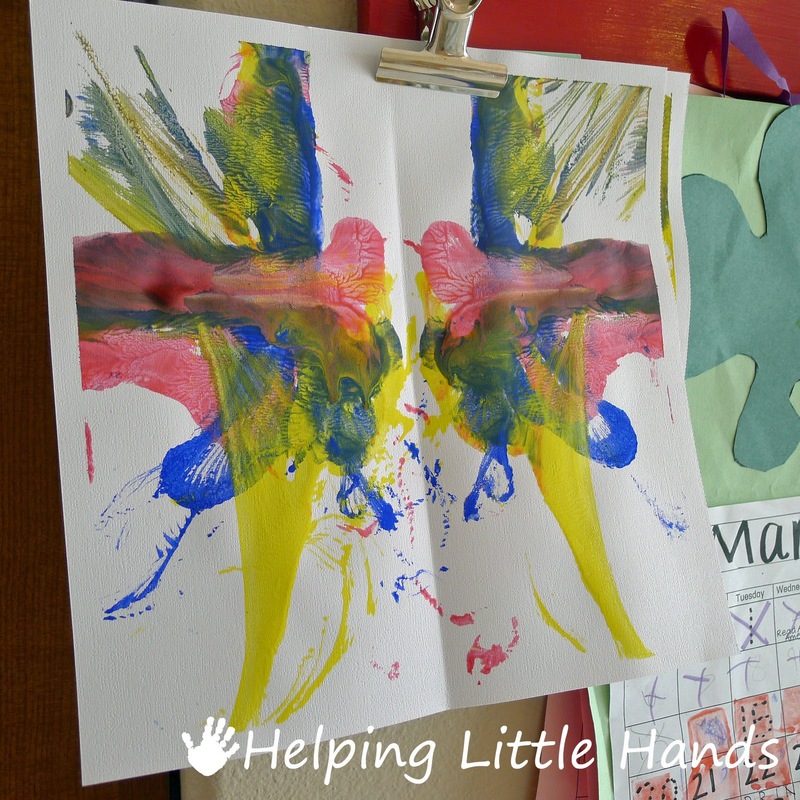 Even though we used regular tempera instead of the suggested liquid water color it turned out well. Sweet Pea and Little Brother had a lot of fun with it. 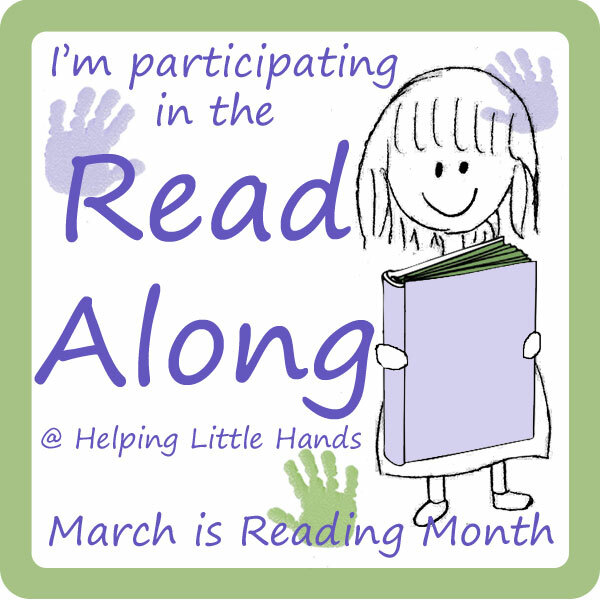 Dani from Pineapple Paintbrush suggests reading Mouse Paint by Ellen Stoll Walsh with your children before Day 1. 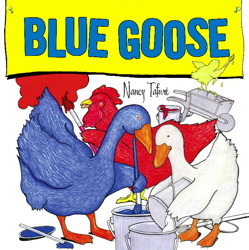 We read Mouse Paint several months ago and loved it (you can see our project here), but it was long ago returned to the library, so we pulled out The Blue Goose by Nancy Tafuri which is another color mixing book that we love and had on the shelf. Dani's directions are great and leave a lot of room for adapting the project to your own kids. A few things we did just a bit differently. I like to put a border on my kids' artwork with painter's tape. (I picked this tip up from That Artist Woman) Not only does this fix it to the table so it doesn't move around, but I like the edge it gives the finished piece. It also gives something so that I can immediately and easily hang it to dry (usually on our glass sliding door) without disturbing their painting or having it lay out somewhere. 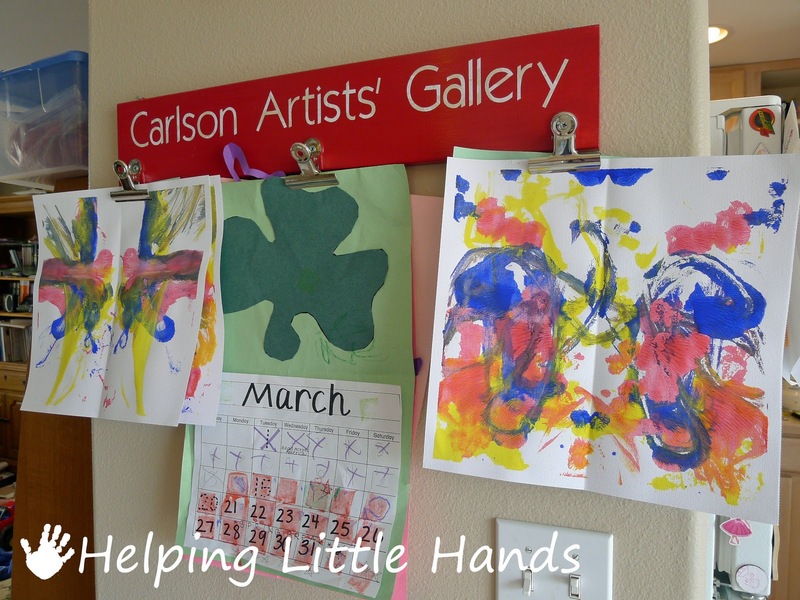 It's not to late to join Dani's art class. She only leave the instructions up for two days, but past days are available to purchase as a PDF for a reasonable price, and you can still join in for the rest of the class for free. I am admiring Sweet Pea's butterfly! 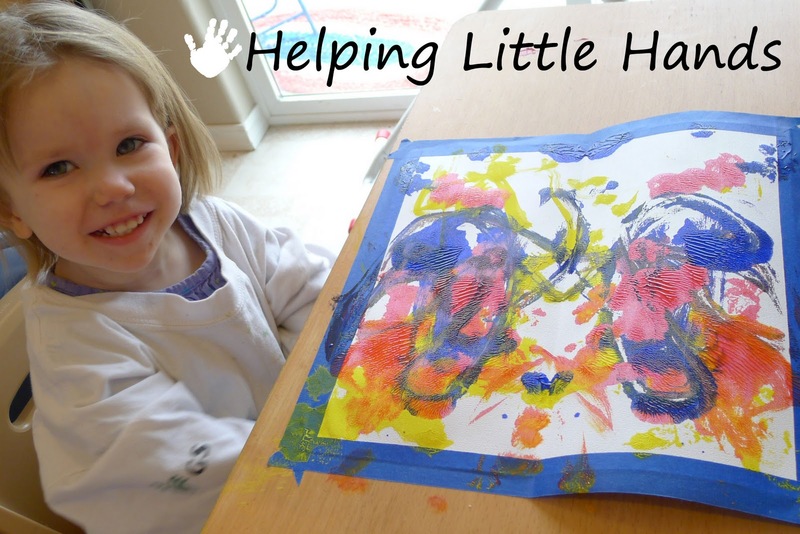 Your pictures are fantastic and the projects turned out so well. I can't wait to start doing the class ourselves. 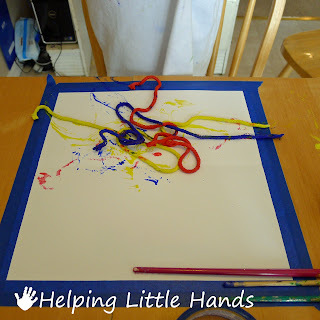 That sounds fun, when we did string painting we just sort of whipped them around on the page, pulling them out from between the paper sounds really differently-interesting. We'll have to try that. Polly I love your post! Your daughter's artwork is great and I love the idea of the painter's tape, I am going to try to remember to recommend that to parents on my blog for our next paper project! Thanks so much!! !